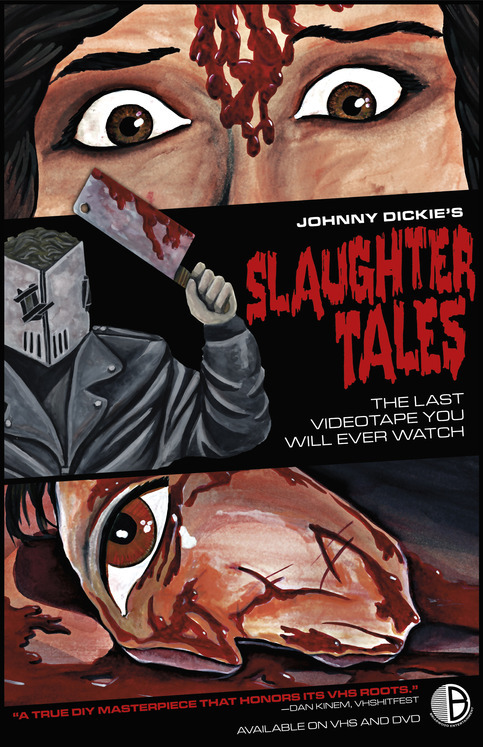 This no-budget feature from writer-director-star Johnny Dickie begins as we meet a young boy who steals a VHS tape and heads home to uncover the ghoulish delights. A horror fan, he expects this to be the worst horror movie he’s ever seen. He might even secretly HOPE this is the worst horror movie he’s ever seen. Slaughter Tales is…umm…interesting. This is the kind of strange SOV style horror that just isn’t made today. I admire the passion behind the production from Dickie who does just about everything in this production and it is obvious from beginning to end that he is an extreme fan of the genre. Some of the tales work better than others and, at 91 minutes, the film does feel a bit on the padded side. Nonetheless, the Troma level of energy and excitement kept me consistently entertained. Filled with just about every bodily fluid imaginable, it is never anything less than cheerily revolting. I wouldn’t be surprised if this is the best worst movie I see all year.